Ensuring that the right gloves are worn when subjecting the hands to manual labour is essential for receiving the necessary protection. The HexArmor Hex1 2130 Industrial Work Gloves offer a durable, reinforced design with reliable grip ideal for general handling and industrial work. 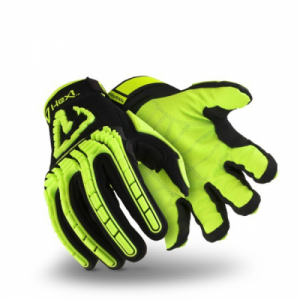 The Hex1 2130 Work Gloves provide resistance against abrasions, with reinforced stitching and a durable TP-X+ palm for ultimate durability and protection. With reinforced seams and index finger and thumb saddles, it offers suitable protection when handling abrasive and coarse materials. Dexterity does not need to be compromised for safety. The Hex1 2130 Gloves enable flexible movement, offering maximum usability when coupled with the quality wet- and dry-grip functionality. 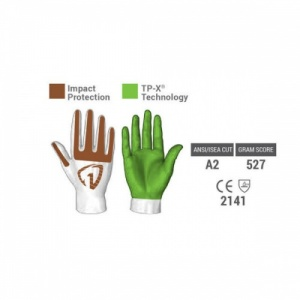 The back of the hands offer impact protection against bumps and slipped tools. This additional support will help to prevent injuries caused by any sudden and unexpected impact, reducing the potential damages caused by unwanted collision. 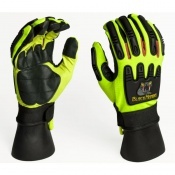 The Hex1 2130 Work Gloves are designed to fit securely to reduce the risk of handling potentially dangerous objects. 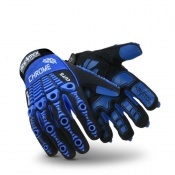 With a Neoprene cuff and Velcro fastening, the gloves offer reliable protection against risks caused by hand exposure. These gloves are a good buy. Full protection at a great price. Only drawback is they are not waterproof. Used them for a couple of weeks on bulk tipper work and there are no signs of wear at this stage.